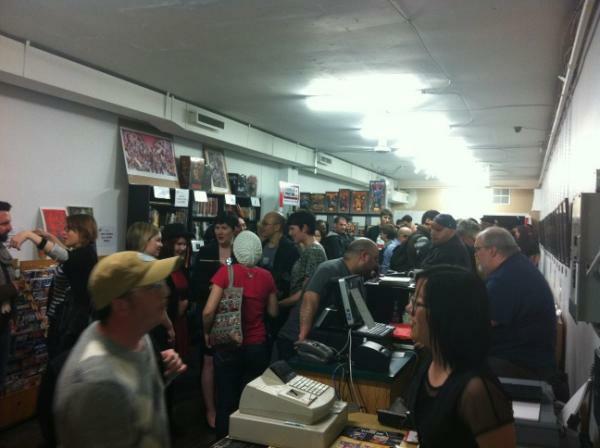 THE COMIC BOOK LOUNGE isn’t LOST in SPACE!! In fact, you can find us there quite easily! Those of you who may have missed our Grand Opening party are advised to check out InnerSPACE tonight at 6 PM or tomorrow (March 28th) at 9:30 AM to see how they cover the festivities and their interview with Mighty Mike Del Mundo. For more information check out http://www.spacecast.com/ or your local listings! 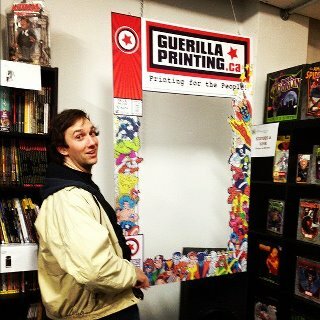 Our "roomies" at GUERILLA PRINTING had their cover-prop set up - a great chance to get your face on a comic!